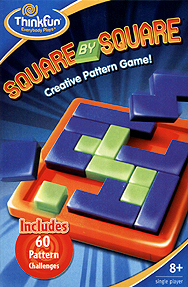 Square by Square Game that teaches spatial reasoning skills. Play all 60 challenges, stretch your brain while you have fun! Goal Combine the puzzle pieces to match the images shown on each challenge card.